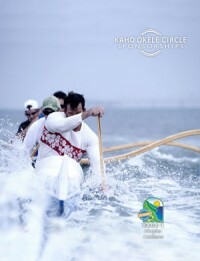 Kaho’okele means to steer, maneuver and lead a canoe. To work in harmony as a team, through calm or choppy waters. The Kaua`i Chamber of Commerce is a non-profit organization with the mission to promote, develop and improve quality growth and economic stability in the County of Kaua`i.